It's a piece of my heart on my birthday and right now in real time.I am sorry it took me a while, I did enjoy my day, It was a super Sunday,the last Sunday of the year and it was fun at work.I pondered on what more could be my birthday message and I am sure it can be nothing short of a gratitude note. Yeah! 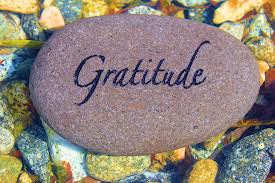 I will live each day in gratitude and today is the beginning of the rest of my gratitude days.In my tweet containing a gratitude harsh-tag yesterday, I noted " I celebrate God!On Monday morning 29th December 27 years ago,after an 18 hour journey. I arrived on God's amazing Mission to earth #Gratitude"
I found in the Holy book the necessity and the wisdom in counting our days and celebrating life, because it is in so doing that we can learn to appreciate more the Giver of life- The Almigthy God, I like to call Him by His wonderful name - Jehovah El-Shaddai. I am grateful today for the blessing of a sound mind , perfect health and wealth. I appreciate the blessing of People in Family, friends and even foe (if I have any please send me an email inbox). I bless God for the wonderful blessing of a great job, career- which by His grace gets better and greater by the day,I cherish God's blessings of wonderful relationships in my life. I thank God for the wonderful streams that are breaking into different healthy head flows...the gift of salvation through His son Jesus Christ, His constant divine guidance and protection,and much more. What he has started, He is able to bring to a perfect end, and as we all start a new year by his grace, If we put our hands in His everlasting hands we aint going to worry for a moment! Because we are in for the best trip of our lives- an adventurous flight to greatness! To all my friends, family and my colleagues at work who made my day through calls,wishes,prayers, gifts and love ! Thank you, God bless and I love you all!